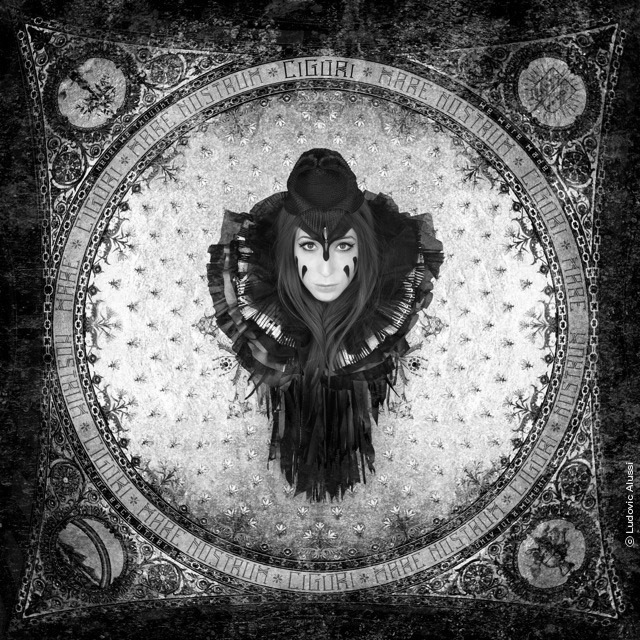 Cigùri is a multi-talented Berlin-based French musician, who blends music and visual arts into an on-stage project which borrows from the intimate atmosphere of black magic, mystical symbolism and dreamy dark pop music. From her sewing machine to music production and VJing, she takes the spectator on a spellbinding journey. The release party for Cigùri’s debut album Mare Nostrum was held on 21st of February 2014 in the plush setting of Roter Salon in Berlin’s theater central Volksbühne. 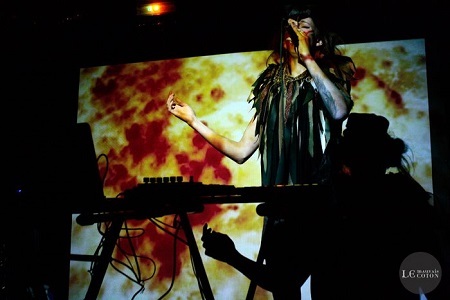 The concert also marked the exclusive comeback of Mt Sims, the Berlin-based American DJ, performance artist, producer, and collaborator of artists such as Planningtorock and The Knife. Through the concert, Ciguri was able to find a manager and was also given the opportunity to perform in Israel.